Twenty years after Selena's murder, the Latin world will remember "The Queen of Tejano" with concerts, lookalike contests, dances and a massive festival. But her father has mixed feelings about the celebrations. "Of course I'm happy that, today, people remember Selena more than ever," Abraham Quintanilla Jr. said via phone from his office in Corpus Christi. "But, as Jehovah's Witnesses, we don't celebrate deaths or birthdays, and we don't want people to think we're behind all the festivities. "It's crazy. It grows every day with events everywhere, but we're not organizing them. Our family never got together every year on the day of her murder, because there's nothing to celebrate, and this year won't be the exception," he added. "We remember our daughter every single day. We don't need a special day to remember her." Selena began performing as a child, singing in Los Dinos, a band formed by her father that featured her brother A.B. on bass and sister Suzette on drums. She won a Best Mexican-American Album Grammy for "Live," had several hits in the U.S. and was about to cross over to the English-language pop market when, on March 31, 1995, she was murdered by Yolanda Saldivar, the president of her fan club. Twenty years after the death of Texas native Selena at age 23, people in Dallas gathered to remember the Tejano music star who was on the brink of super stardom at the time of her death. Her posthumous album, "Dreaming of You," which was mostly recorded in English, topped the Billboard 200 chart and stayed atop the Latin charts for nine months. Saldivar is serving a life sentence. Despite his reservations, Quintanilla has given his blessing to one event -- the Festival de la Flor, featuring A.B. Quintanilla and the Kumbia King All Starz; Selena's widower and former Los Dinos guitarist Chris Pérez; Little Joe & La Familia; Los Lobos and others. Corpus Christi's Conventions and Visitors Bureau will host the festival April 17-18. Selena was born on April 16, 1971. Trevor Noah to Replace Jon Stewart at "Daily Show"
Tickets will cost no more than $5 and the city expects attendance to hit 50,000. "It will be the first edition of an annual festival that will grow every year," Quintanilla said. 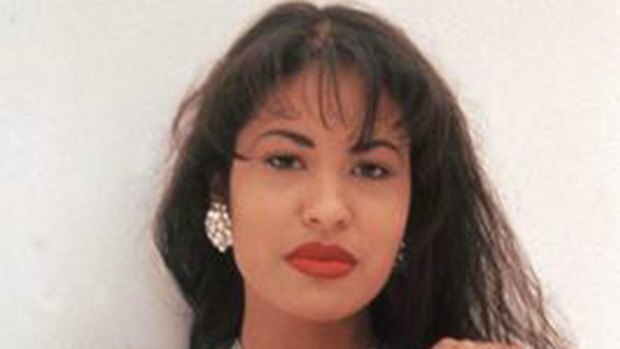 In addition, Corpus Christi will host a Selena Tribute at Molina Veterans Park on March 31. But Selena's celebrations don't stop there. The Historical Museum of Lake Jackson -- the city where Selena lived until age 9 -- is showing an exhibition of Frank Herring photographs of the star, through April 18. In San Antonio, where Selena won nine consecutive Tejano Music Awards, Selena's face graces the cover of the Current -- a weekly English-language magazine. On Saturday, a public relations firm will shoot a tribute video featuring Selena lookalikes. And in April, the city will host a 5K "Bidi Bidi Fun Run" with all proceeds going to the Selena Foundation, which aims to help children in crisis. One of her hits was called, "Bidi Bidi Bom Bom." California, Arizona, New York, Illinois, Colorado, Nevada and other states will play host to a variety of Selena commemorations, including concerts, lookalike contests, an exhibition, karaoke nights and a drag tribute show. The two main Spanish-language TV networks in the U.S. will air special Selena programming this weekend. A.B. Quintanilla insists Selena's music has not dated, citing the hit "Tecnocumbia." "If you play a Selena cumbia and compare it with any other record from today, it sounds as if it had been recorded yesterday," he said.